See SEAWIND MKII KETCH (ALLIED) for more details. Updated vers. of SEAWIND 30. The Seawind II came to the market in 1975 as the successor to the original SEAWIND. Production of the SEABREEZE , LUDERS 33, and CHANCE 30-30 was stopped to fill orders for this new model. But the price was much higher and customers continued to order the old version instead. For a while both models were being built at the same time while sales of the new version remained weak, the economy slowed and the company approached melt down. 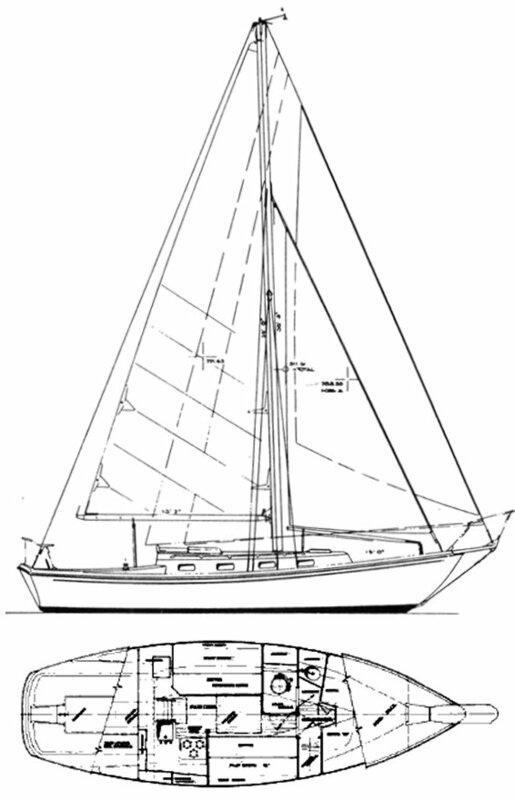 Available as staysail ketch, cutter, or sloop (rare). Rack & pinion (on deck) wheel steering was standard.